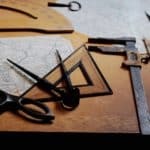 We have used and vouch for all of these recommended tool gifts. 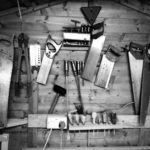 First & Best of Tool Gifts: The Big Dog: We wrote all about the vast world of the screw gun in our recent post as it’s the number one great tool for most of us handy-types, certainly one of the best gift tools for DIYers. What’s fun is all the gizmos that go with a screw gun… you`ll see my own tip-holder invention: patent pending! Deluxe under $175: Best tool gift on the internet. Two guns, huge power. A lifetime set. Enjoy. Look and buy here. Magnetic Wristband with Strong Magnets: My 3rd hand. 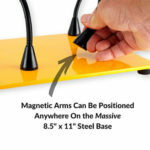 Magnets can hold small hammers, plyers, and probably even your beer! Great for when your spouse can’t help: just too busy shopping online. The one you see on my wrist is an older generation, but still going strong. Save gift receipt: you have a full year to return it. Digital Vernier Caliper with LCD Screen: Not just cool looking on your peg-board. 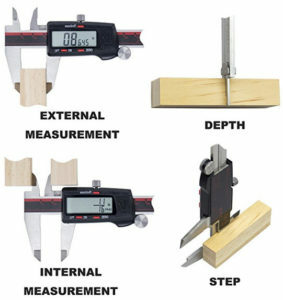 I use my grandfather’s caliper to get accurate measurements all the time. This one is steel and has a digital read-out. Grandpa, you should have invented digital! One thousand good reviews cannot be wrong about this newfangled digital style. Hmm. Kids today. Cool tool Organizers, Big and Small: For small necessary things and one for hand tools (5-gallon bucket not included). 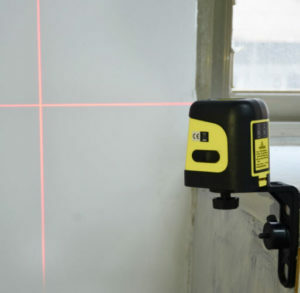 Laser Leveler: I got an early model laser leveler and I originally thought “how stupid”. but it turns out to be one of the most useful gadget I need around the house. The new type has a plumb line laser as well and can even do angles. Watch it work on YouTube. Very cool gadget. 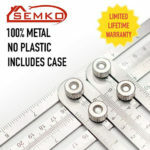 Multi-Angle Measuring Ruler: Template Tool & Angle Finder: I bought an angle finder last year: my porch needed a support that would be both at an odd angle and askew. My older version has no hard shell case. So this is the one to get. Be sure to buy metal: plastic won’t cut the mustard. Enjoy. Oh, that case? Of course I made one. Duh. 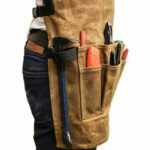 Waxed Canvas Tool Apron: Top of my cool tool wish list for all who read this: buy me this pleeeease! As Marlon Brando said, “A man without a canvas tool apron can never really be a man”. 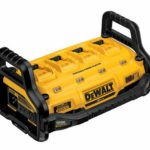 A great gift for a carpenter or handyman. Like me. 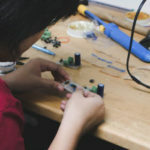 Digital Soldering Station: For anyone who has to re-wire anything, this soldering iron gets very hot, unlike the weaker models. Hakko is a respected maker of electronic supplies making soldering irons since 1958, and all made in the USA. There are cheap knock-offs for sale even on Amazon, so I verified via Hakko Customer Service that this seller is legit. This goes with the next item if you want a tool gift supreme. 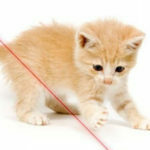 Gadget tools – Helping Hands Third Hand. I have a small one with 2 clips and it’s never enough. I put this great tool on my wishlist: hint, hint to the webmaster. Work Light: We used to use halogen work lights: very bright, but very hot. On a cold day, it is nice to be in the heat of a halogen light (until you bump it and get burned, knock the thing over and break the expensive bulb). These days, we use the more durable LED work lights. I love this light, one of the best tool presents. You might prefer one with a rechargeable battery. At about $60, the corded model is here, and at about $30, the battery style is here. 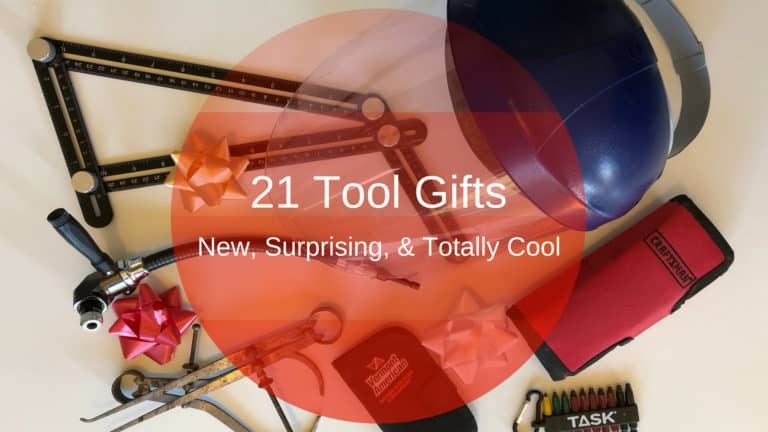 Safety Tool gifts show that you really care. 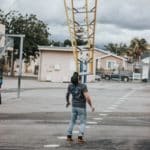 Us older workers no longer take chances with our health and safety like we did in our youth. These last items in our best tool gifts list protect your hands, eyes, ears, and lungs. Work Gloves: Always a great gift. I have a ridiculous number of work gloves: but I play music and hate breaking a nail! I keep pairs of these all over the house. Love that knuckle protector! Also look at the top-grade chemical protection gloves: don’t buy cheap ones as they tear and expose skin! Sizing: large fits me snugly and I’m 6’1″. I prefer X-Large for comfort. 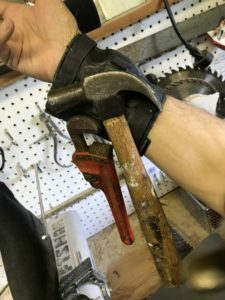 About $15 – Look and buy work gloves here. Less than $15 – Look and buy chemical gloves here. 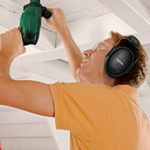 Hearing Protection Ear Muffs: Before a few years ago, I’d never heard of MPOW audio equipment. Now I look for the brand first: real quality and not that expensive. Tell your friend’s ears what my doctor told me: if you want to be able to hear when you are older, protect your ears now. Rating on this item: 3000 x 5 stars. Wow. Face Shield: I bought this one when I got my chainsaw, but now I prefer it to protect my eyes everytime I use any high powered saw or spray paint. They tell you to also use quality eye goggles with it (get the case to keep it from scratching). Respirator: Buy the mask and filters. Then see our post on respirator mask and the variety of filters that work with it, or just get the kit shown below. Portable Power Station: Allows AC power anywhere. Total protection when working with high power tools: I love my power strips. Work Table and Sawhorse with Quick Clamps: I have the Workmate, which is ok. I wish I had the WORX. Now that’s livin’. 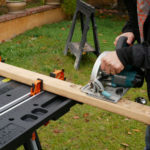 Compact Circular Saw: Don’t get the battery type–they don’t really last. You need power for this kind of tool. 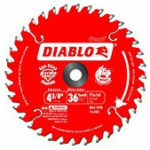 Add a fine tooth blade for trim cuts for a nice addition. Multi-Use Ladder: We feature many of these ladders in our post just on ladders. It is an extension ladder as well as a very stable stepladder. 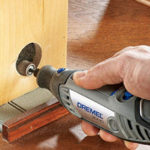 Dremel Rotary Tool: Great little gizmo. Fun to work with. Jig Saw: Very very useful. Don’t get the battery type, they are just not as good. Porter Cable is awesome. Reciprocating Saw: The best gadget invention in the last 50 years. Why didn’t I think of that? 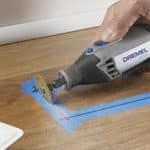 This is one tool I do recommend that you have the battery type as the cord is always getting in the way. Unless you have a great amount of demolition to do… this is your new baby. 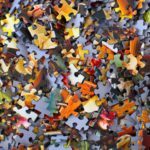 We have selected our favorites, but here is Amazon’s Gift Idea page: more good ideas if you don’t see the right tool gift here. Speaking of chainsaws, I always wanted to be a lumberjack. Leaping from tree to tree…the smell of fresh-cut timber…Just like my dear Papa.